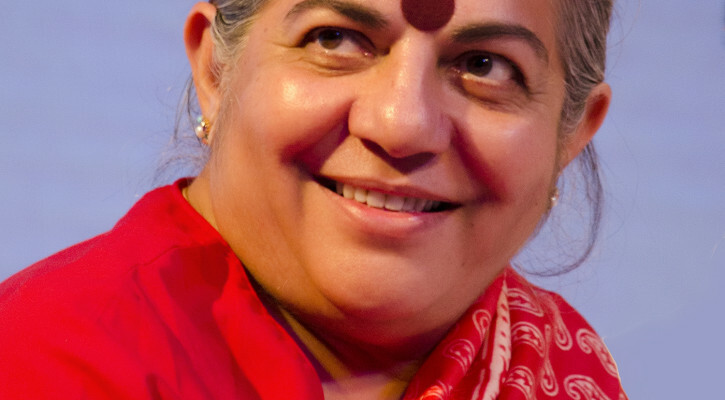 Dr. Vandana Shiva, the internationally recognized scientist and activist will visit Vermont on November 2nd and 3rd for two public speaking engagements. Dr. Shiva will speak in support of Vermont’s first-in-the nation, “no strings attached” GMO food labeling law. Her presentation is titled: Food System Transformation and Reversing the Climate Crisis: How Vermont’s GMO labeling law is part of the solution. Both events are open to the public, and donations will be welcomed to support the on-going work of the Vermont Right to Know GMOs Coalition to implement and defend Vermont’s GMO food labeling law. Dr. Shiva’s visit to Vermont is being facilitated and co-sponsored by the Vermont Right to Know GMOs Coalition which is a partnership of Cedar Circle Farm & Education Center, NOFA-VT, Rural Vermont and VPIRG. To join the Facebook event for the November 2nd event in Burlington click here. To join the Facebook event for the November 3rd event in South Royalton click here. *Programs and activities held in facilities of the City of Burlington are accessible to people with disabilities. For information or to request accommodations, call (802) 865-7019 or (802) 253-0195 VT Relay Service.